It’s been a busy week of racing for the Peel Road Runners. 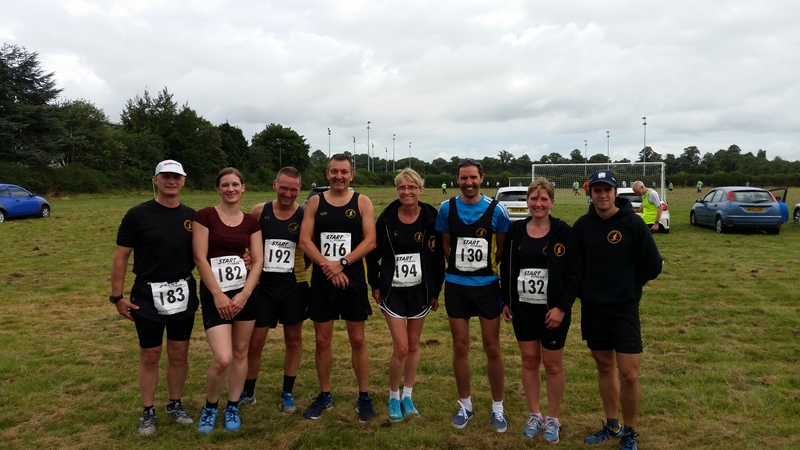 Eight of the club members took part in the Burton 10k race on Sunday 21st August. Martin Hollamby led the club home in a fantastic time of 37:48 mins and secured 5th place overall. Mike Shelton was the next Peeler to cross the line in a time of 40:51 mins. Dave Fern completed the course in a time of 47:09 mins, coming in 4th in his category. Stuart Hatton crossed the finish line in 49:40 mins and Val Lawson completed the 10 km in 57:18 mins securing 3rd place in her category. Helen Manton ran the course in 57:42 mins and Martyn Candy crossed the line in 1:04:23. In Wales, several of the club members took part in the annual Race the Train event. This is a tough run that takes in a mixture of terrains following the Talyllyn Railway. This year the train took 1:45:00 and the closest Peeler was Lee Rickards, who completed the course in 1:52:46. Nick Neale completed the course in 2:10:08, followed closely by Carl Baker in 2:10:09. Mags Smith and Sandra Ingram crossed the finish line together in 2:36:54. As always, the Peelers supported the Kingsbury Water Parkrun. Matt Smith was the first Peeler home in 21:43 mins and 19th place overall. Robert Hirst crossed the line next in a time of 25:03 mins, closely followed by Tim Mudd in 25:09 mins. Allan Williams ran the course in 27:14 mins and Carolyne Browne finished in a time of 29:02 mins.